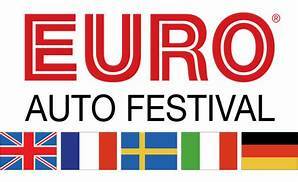 The Euro Auto Festival is the premier auto show in the Upstate of South Carolina. This event is just one notch down from a full fledged Concours d’Elegance event, the very high end collector cars that vie for a Concours prestigious win being the only vehicles missing. Held on the beautiful greens and fairways of The Preserve at Verdae in our hometown of Greenville, South Carolina, Roo and I are so lucky to be able to drive just four miles to see some of the most astounding automobiles anywhere. The greens and fairways were filled with beautiful automobiles and crowds of people. 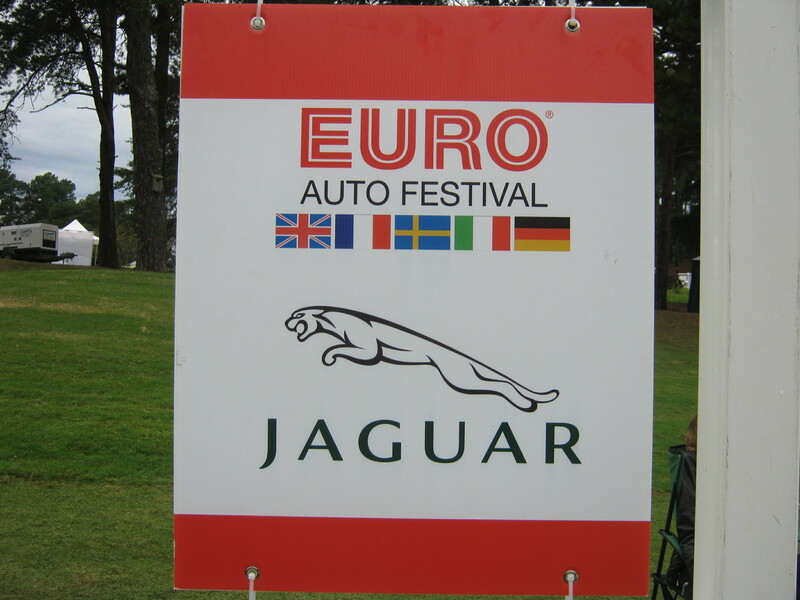 Every year a particular country’s autos or a particular marque are showcased at the show. This year featured the Cars of Italy. Of course, the particular marque within that broad category that had a large and in charge presence was none other than Ferrari. 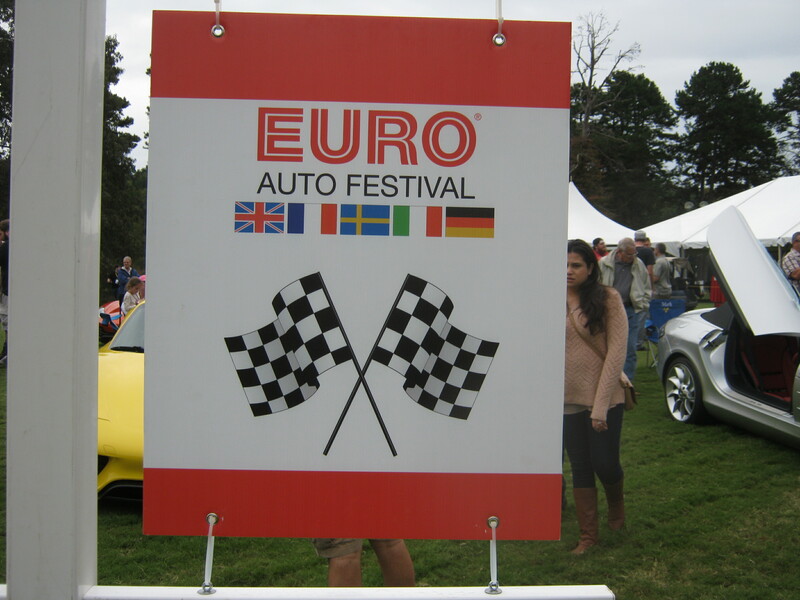 There were plenty of other European auto manufacturers here besides those from Italy. But being that the Italians had such a large presence, I decided to give them their own, exclusive post, as it should be. It is their show this year, after all. In a previous post I mentioned my having had a Triumph Spitfire 1500 Roadster. Well, as we walked around, another old sports car flame came into view, a car that I absolutely loved and had a blast driving. 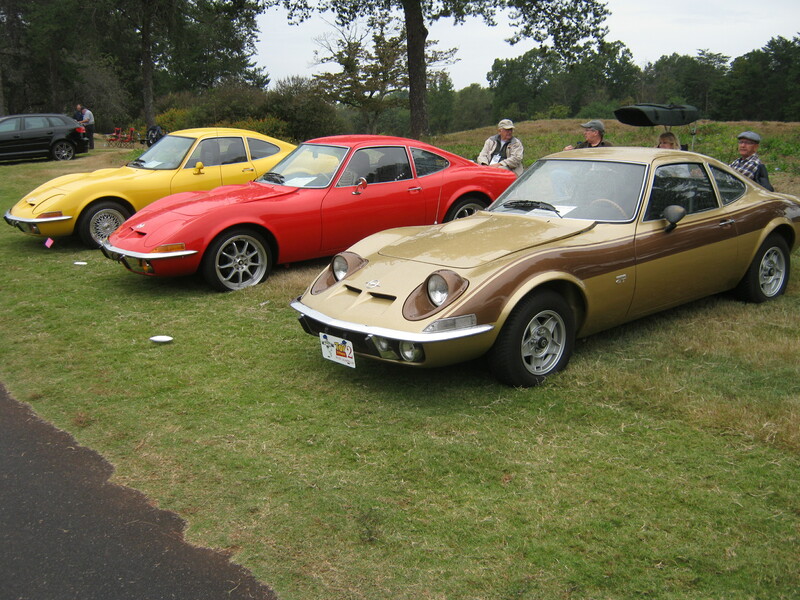 Known affectionately (and literally, in my case) as the “poor man’s Corvette”, a 1973 Opel GT. Seeing one would be great, but three, and in beautiful shape! I had one just like this, right down to the color. 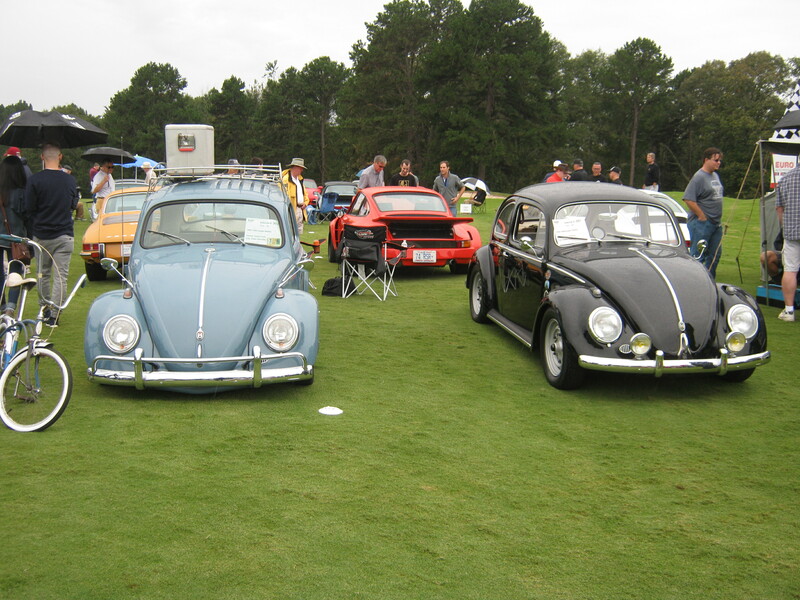 These were really fun cars to drive and garnered a lot of attention! Cute as a bugs ear! The requisite faux dog peeing on a car tire. Seems to be at least one at every show. When was the last time you saw a Renault LeCar? What would a European auto show be without Triumph, makers of the quintessential two seat roadster? After viewing all the cars that mere mortal enthusiasts are wont to drive, we ventured across the fairway to a seemingly other worldly automotive scene, Automobiles that know no limits of technology, no know limits of cost, know no limits of power, These cars are in your face, over the top, excessive, look at me; don’t you wish you had one creations that bend your mind. These cars are mind-boggling. Knowing they are totally out of reach for Roo and I makes it all the more desirable to seek them out in order to gawk and marvel at the creative genius they exemplify with their beauty, technology, and stratospheric power. 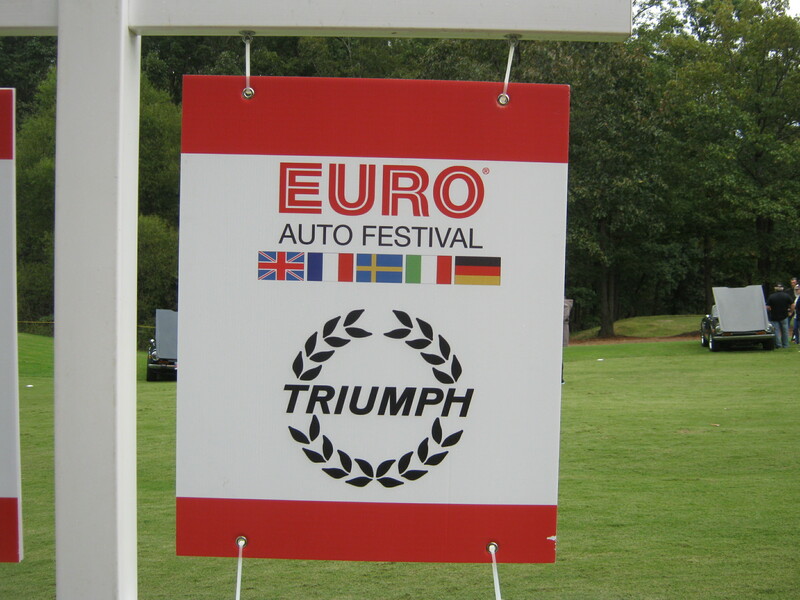 If you are looking for a Concours style, high class auto show in a beautiful setting, and you are a European motorcycle and car enthusiast, it is worth the trip to Greenville to join in the fun, held every year in October. Maybe we’ll see you there in 2019! My hometown of Greenville, South Carolina is host to such an event. 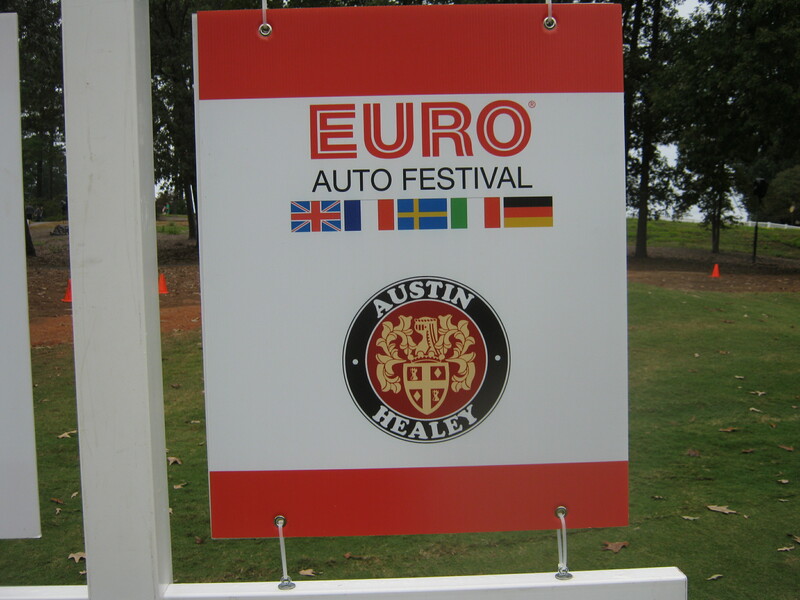 The Euro Auto Festival is held each October at the Preserve at Verdae Golf Club, a beautifully wooded golf venue. 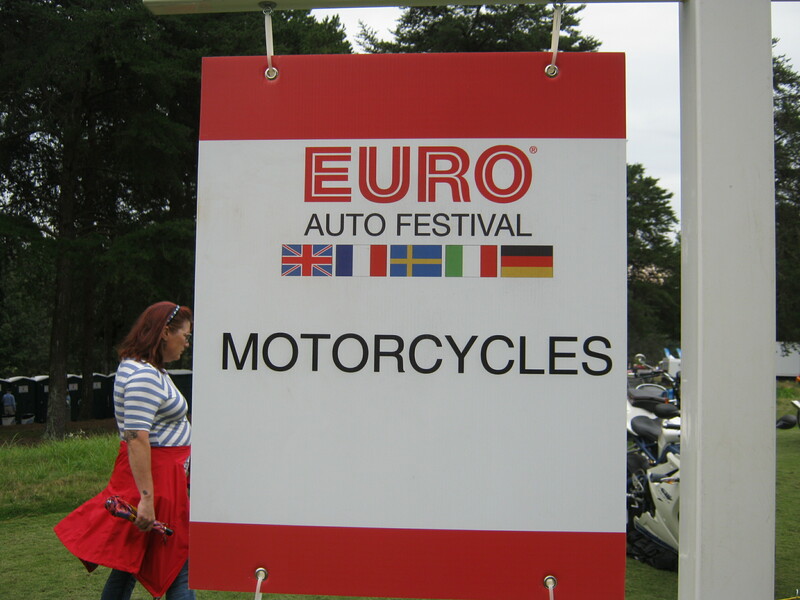 As the name implies, it is an event showcasing over one hundred beautiful European automobiles on the golf course (more in a later post), with a large contingent of motorcycles. Euro is the name of the game here. All European motorcycles on the green from modern sport bikes (Ducati/Triumph), to a vintage scooter (Moto Guzzi), and the usual ’60’s and ’70’s Triumphs and BSA’s in between. A great showing of beauty on two wheels. Enjoy the show. So whats with the Italians? Is this a mob movie? I thought this was a British car show. 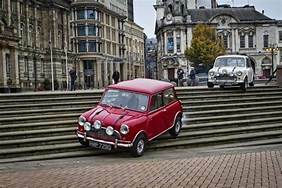 Well, it is, and The Italian Job is a part of it. But more on that later. How’s this for now? 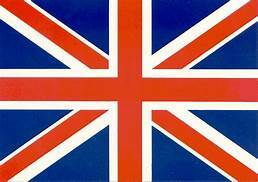 More befitting the British Invasion. 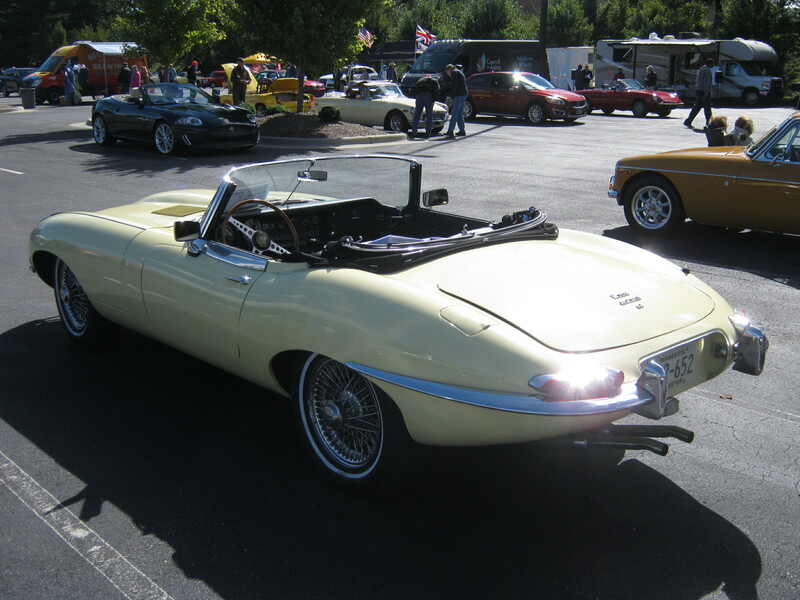 Asheville, North Carolina is host to the British Car Club of Western North Carolina’s big motoring event every October, Autumn in the Mountains British Car Show. British cars of all stripes, vintage and new, fully restored and not, descend on Asheville from all over the southeast and beyond. A mall parking lot is filled with these fantastic vehicles from Britain’s automotive and motorcycling history (see previous post). 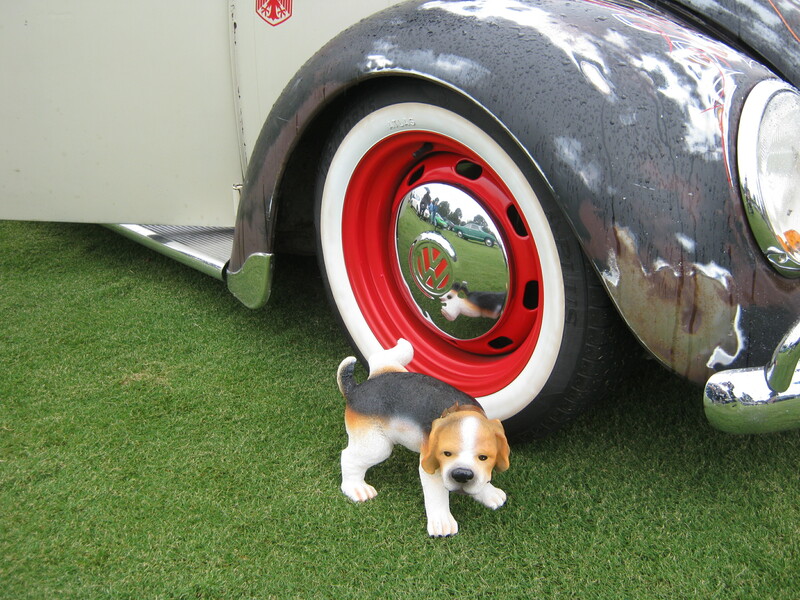 Roo and I were in heaven, and to make the day even more enjoyable, we came across another Brit car enthusiast: a beagle! As we made our way into the plethora of British automotive excellence, Roo, Don (a Porsche driving friend), and myself were giving a Morgan the once and twice over, when Roo let out a scream; “It’s a beagle!” and took off running across the parking lot. We lost Roo. We caught up with her later (still with the beagle). This is Ginger the beagle, and he drives in his dad’s Morgan everywhere! 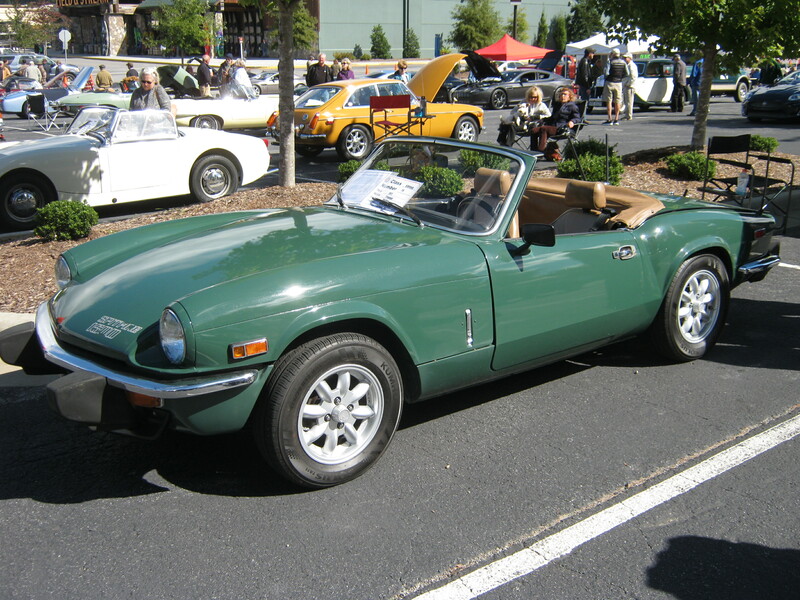 I have always been drawn to British sports cars, having owned a Triumph Spitfire way back when. So whenever I see a vintage British sports car, it lights a fire in me. 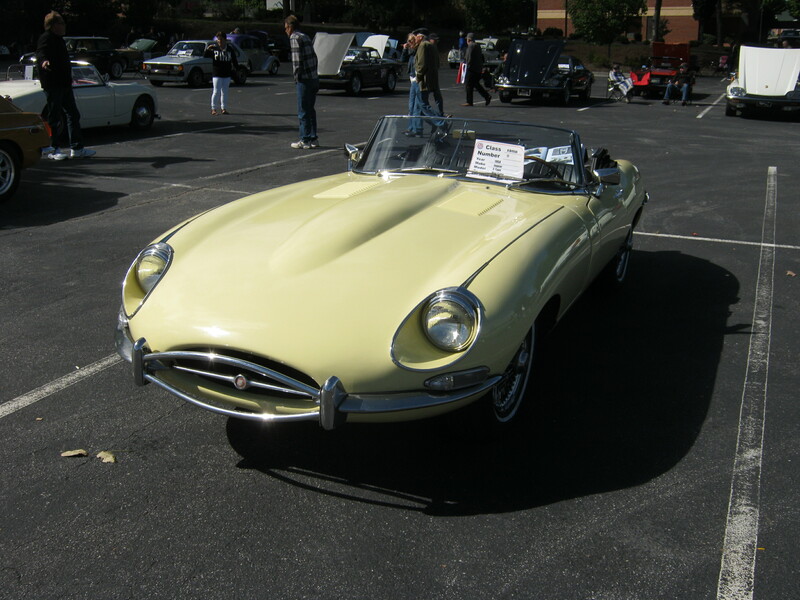 As a matter of fact, it was a Brit sports car that got me hooked on this automotive genre when I was 13 years old: a Jaguar XKE convertible roadster. So many gorgeous cars were here, it took us a few hours to negotiate them all. Granted, though, we do like to really look deeply at the cars and talk to the owners, whose stories are usually quite interesting and entertaining. Below are some of the cars we saw, in no particular grouping or order. Enjoy the gallery. 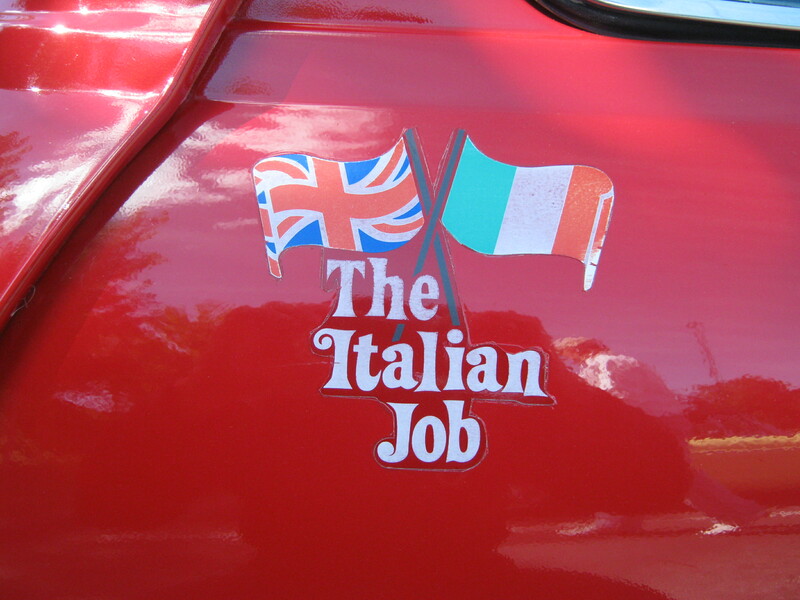 The Italian Job is a 1969 British comedy film which featured many Italian and British cars. The movie was also remade in the U.S. in 2003 with modern versions of some of the same cars used in the original film. A Lamborghini Muira, Aston Martin DB4, E-Type Jaguars, Alfa Romeo Guilia and Mini Coopers were all showcased in these movies. 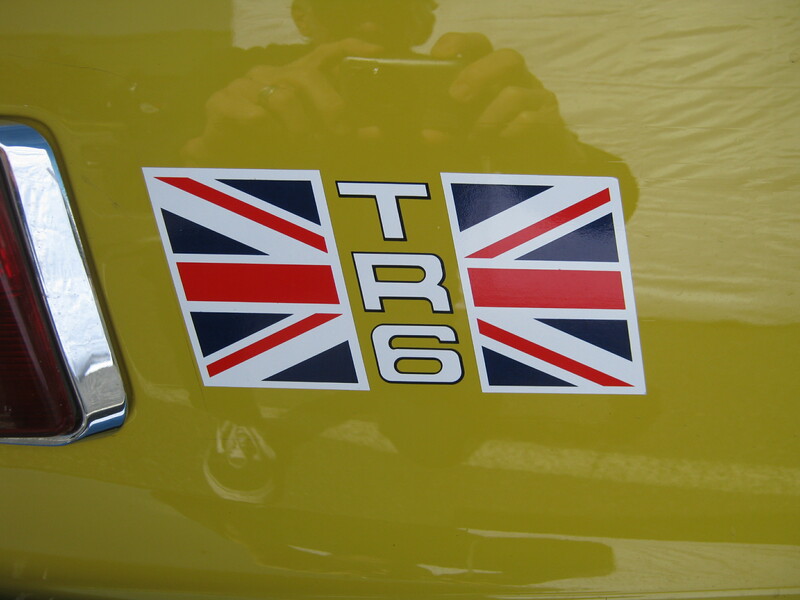 The Mini Cooper S, a high performance Mini used in the films is the only Mini privileged to wear the Italian Job badge. Motor racing driver John Cooper persuaded the Mini’s creator Sir Alec Issigonis to let him produce a high performance Mini. Sir Alec didn’t believe it would sell. The car was an immediate success. The powerful Cooper S was a big hit, as was the film. The show was the Autumn in the Mountains British Car Show in Asheville, North Carolina (post forthcoming). But, the show were the British motorcycles on display. However, I was a bit disappointed at the turnout of bikes. Granted, it was a car show after all, and the motorbikes were the red headed stepchildren at this event. However, what did show up was excellent: two 1970’s Triumph Bonnevilles, an awesome looking Triumph X-75, a very cool Rat Triumph, and a Norton Commando.But where were the other great marques like BSA, Ariel, Vincent, JAP, and AJS to name a few? They’re out there. Just not here. I’m sure we’ll see them in upcoming vintage bike shows we’ll be attending. Enjoy the Gallery. Poo. Poo is Nirvana. Poo is satisfying. When you arrive at that “ahhhh” moment, everything slips away as you feel your body completely relax. No matter how you felt pre-Poo; exhilerated, anxious, or just plain focused on the task at hand, your arrival at Poo is nothing short of elation. And Poo is beautiful and pleasing to the eye. There is nothing distasteful about Poo. 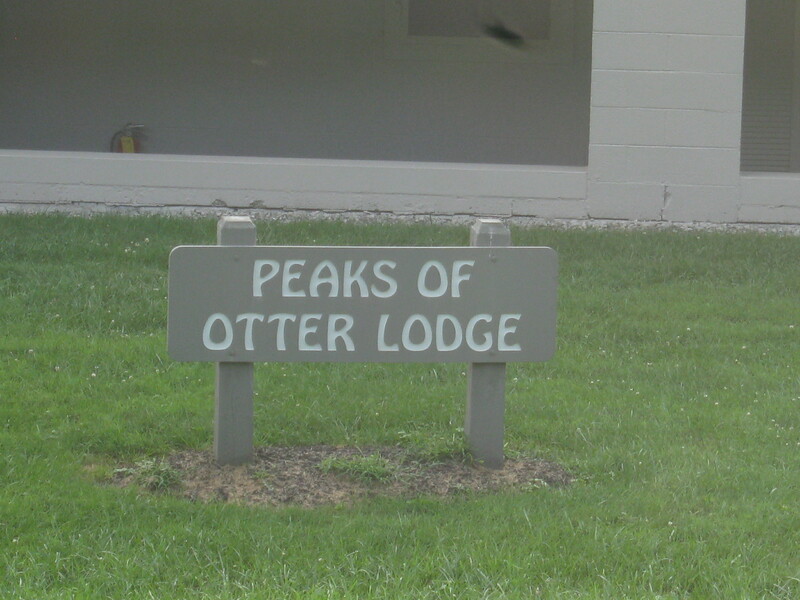 Peaks of Otter. Poo. 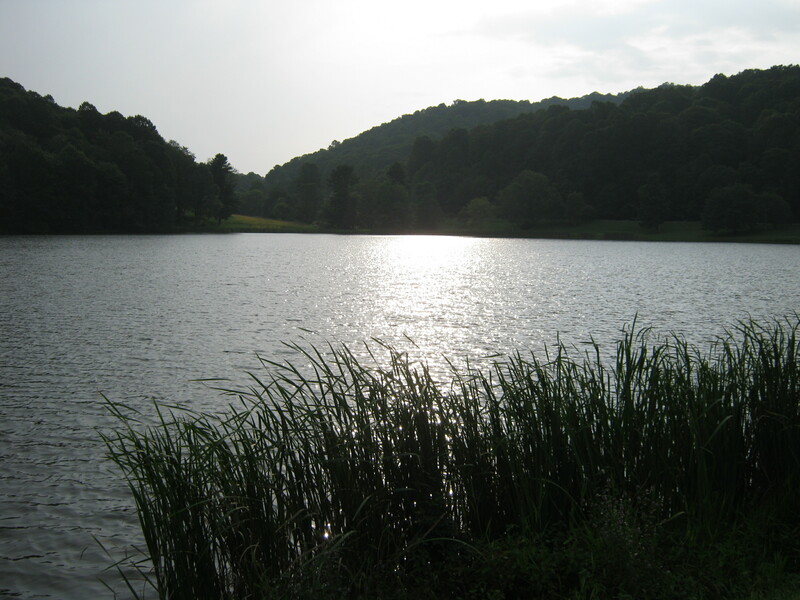 Located approximately ten miles north of Bedford, Virginia. 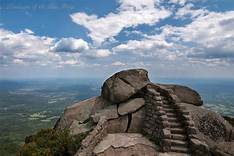 The Peaks of Otter are three moutains in the Blue Ridge Mountain chain; Sharp Top, Flat Top, and Harkening Hill. 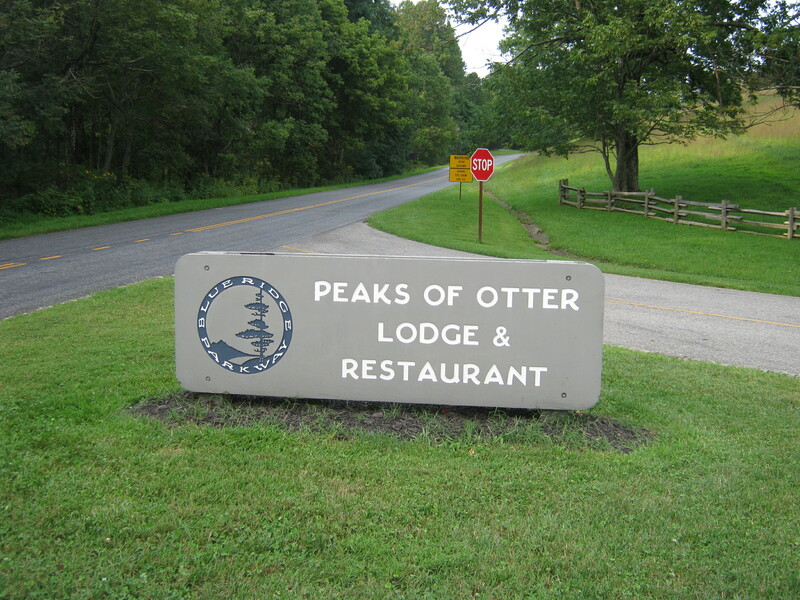 The Lodge is situated right on the Blue Ridge Parkway, MP 85. This is our third trip to the lodge; twice by motorbike and once, this trip, in our MX-5. After a spirited drive up and down the Back of the Dragon (see previous post), we headed east and took the back roads and the Blue Ridge Parkway to the Peaks of Otter Lodge. 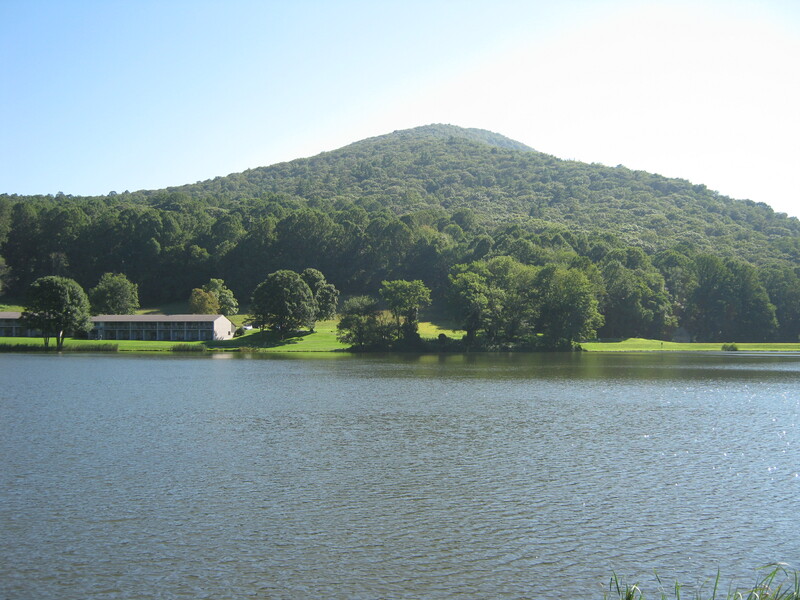 This area of Virginia is stunningly beautiful, and the lodge property is as well. It was here, way back in 2006, that we had a magical bear encounter with a female bear and her two cubs. A photo hanging in our living room that Roo took at the time showing momma bear and her cubs looking right at us with no fear or aggression at twenty feet away reminds us of that magical experience. The grounds here at the lodge are gorgeous, invoking a sense of calm and peace the moment one arrives. We parked the MX-5 and didn’t drive for two days, electing instead to chill and hike the many trails both on the property and the surrounding area. The restaurant on site serves wonderful cuisine in a rustic mountain atmosphere. A fiddler is playing in the lounge, and the music filters through to the dining room as Roo and I enjoy a bottle of wine from a local vineyard. A perfect ending to a great day of driving as we walk the trail around Lake Abbott in the moonlight. 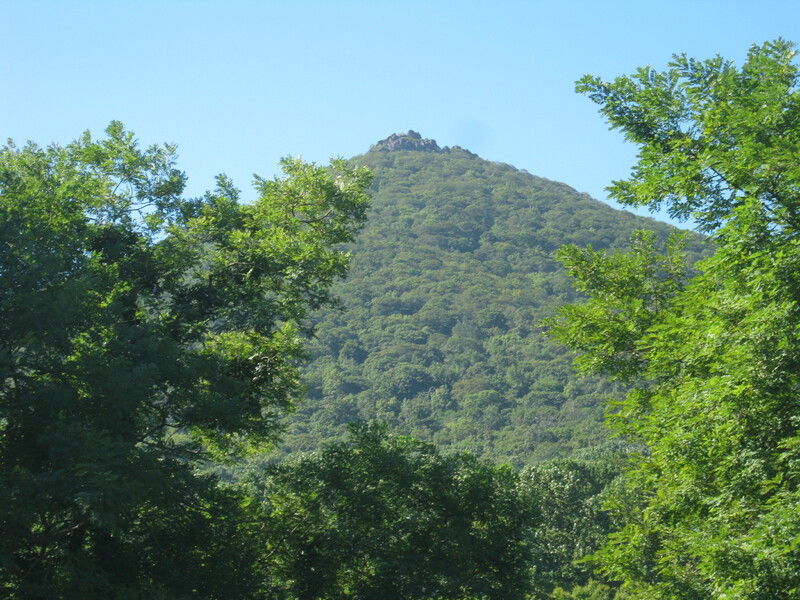 The next morning we awake to a gorgeous Virginia morning, and prepare to hike to the summit of Sharp Top mountain. Sharp Top peaks to just under 4000 ft. in elevation. A 1.5 mile trail takes us to the summit. That doesn’t seem like a very long trail, and it isn’t, as the crow flies, but this is 1.5 miles with a lot of vertical. The views from the summit are breathtaking! We could see for miles. And it was very, very, cool and breezy. I was dressed for seventy-five degree temps in a fifty-five degree atmosphere with a wind chill of another five to eight degrees. Brrrr. There is also a cabin at the summit, built in the 1880’s, that was used as an overnight rest stop for hikers and travelers of that era. The National Park Service had just finished restoring the cabin this year. 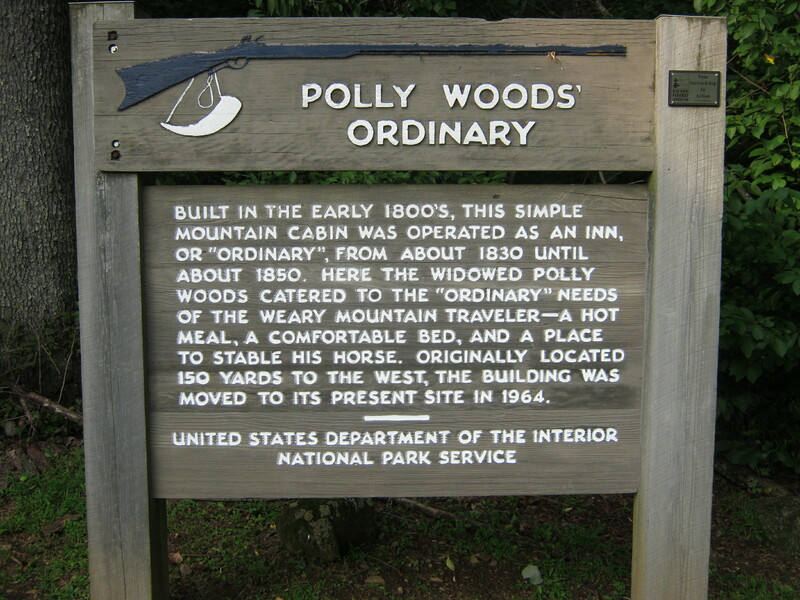 Another historical structure on the Poo property is Polly’s Ordinary. An “ordinary” was the term used in the 18th and 19th centuries for overnight accommodations for travelers in the area. Nothing fancy, just a place to drop your bedroll and get a simple meal. This was a popular area for travel and recreation even back then. A full day of hiking, beautiful weather, another wonderful meal in the on-site restaurant and one last evening walk around Lake Abbott, left us pleasantly tired. 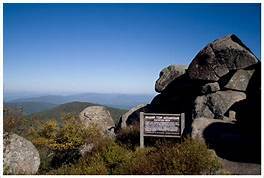 Tomorrow we begin our journey back to Wytheville and the Trinkle House B&B for an overnight stay, via the Blue Ridge Parkway and some of Virginia’s best twisty roads. 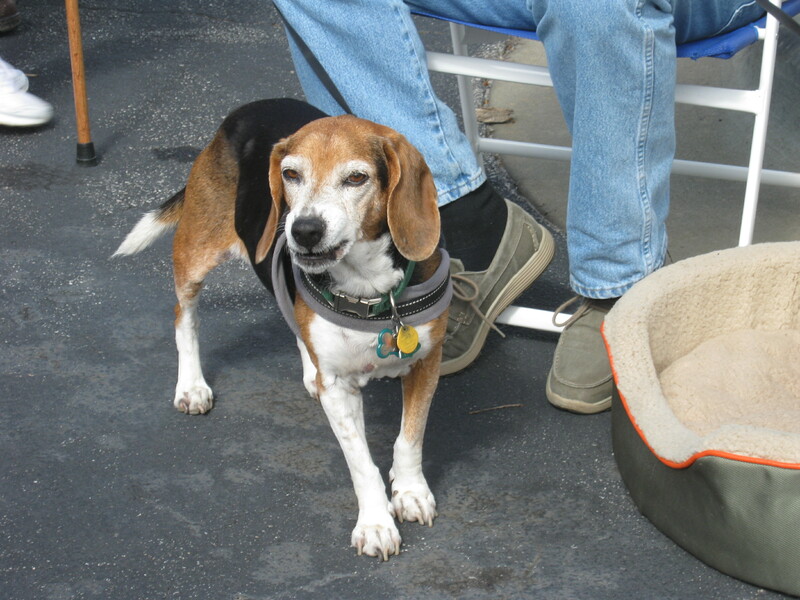 Then its back home to South Carolina and the anxiously awaiting Beagles. Another satisfying Poo experience. 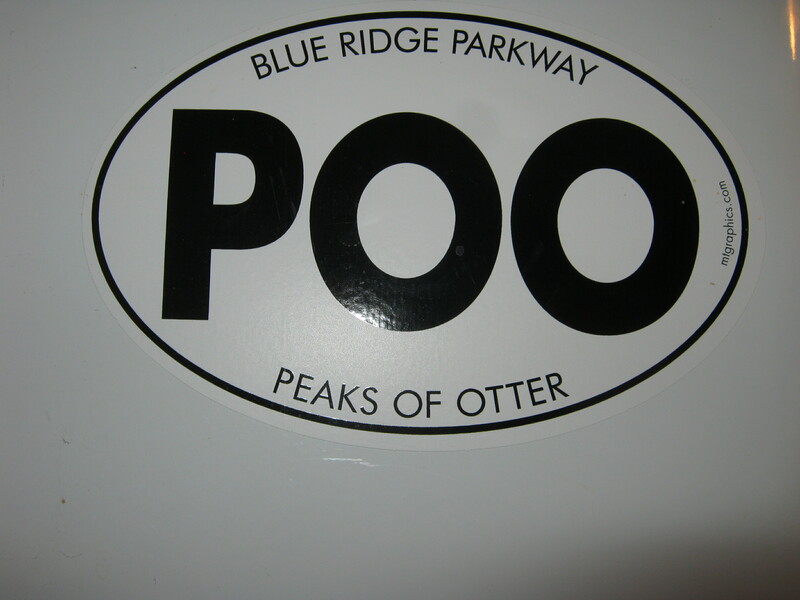 If you ever want to make a trip to Poo, check the area out on the Blue Ridge Parkway, MP 85, Bedford, VA, and have your own wonderful Poo experience. You won’t be disappointed.